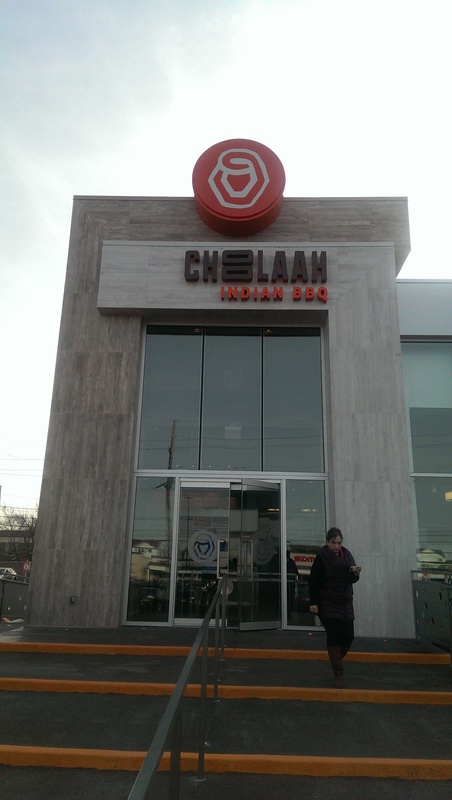 Everyone I know has been anxiously awaiting the opening of Choolaah Indian BBQ on Chagrin across from Corky & Lenny’s. Well, it was worth the wait. The place has been mobbed since it opened. We went on a quiet Sunday afternoon. The place was not overly packed, and there were quite a few Indian and Pakistani diners (not including the two with me). 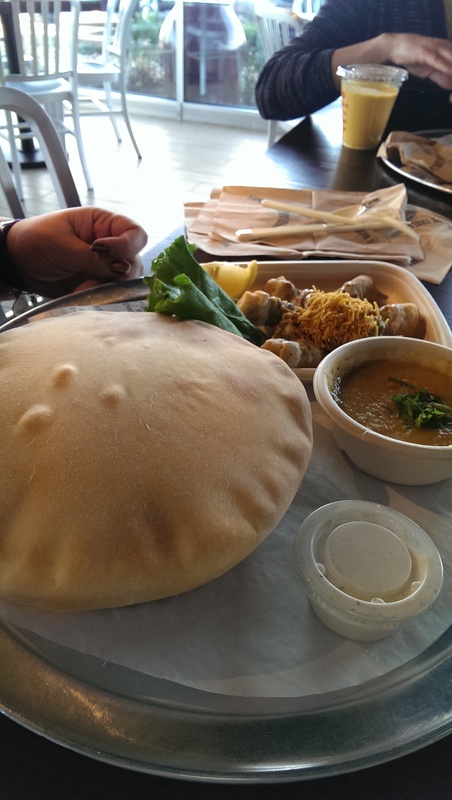 The place bills itself as “Casually Fast Indian Cuisine.” The food came out quick. If only the registers moved a little faster. I expect that may change once people become more familiar with the menu and don’t need as much explanation. The restaurant is bright and cheerful with pops of color and open kitchen and grill areas behind glass. 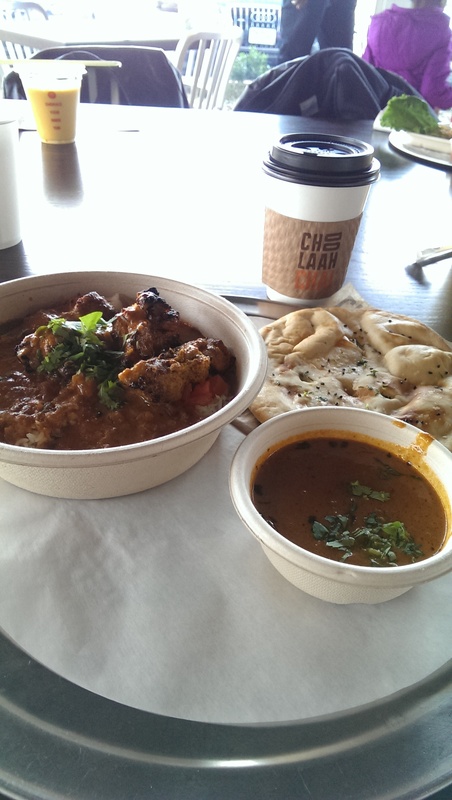 I ordered the Chicken Tikka Masala plate with a side of Naan bread. This hit the spot. It was a decent size portion and had a nice flavor. I forwent the “Choolaah Heat” sauce and am glad I did, as two of my fellow diners “couldn’t stand the heat.” They were glad they had ordered Mango Lassis, but lamented the size. After I raved about the soda dispenser they followed up with a “Coke product” from the beverage dispenser (more on that in a minute). The side of naan bread was also fluffy and well seasoned with just a hint of salt. I was also given a side of masala sauce to dip the bread into and to pour over the rice bowl in areas I wanted to add a little more sauce. I had a bite of my friends’ meals, including the Paneer Biryani and the Paneer Tikka Masala. 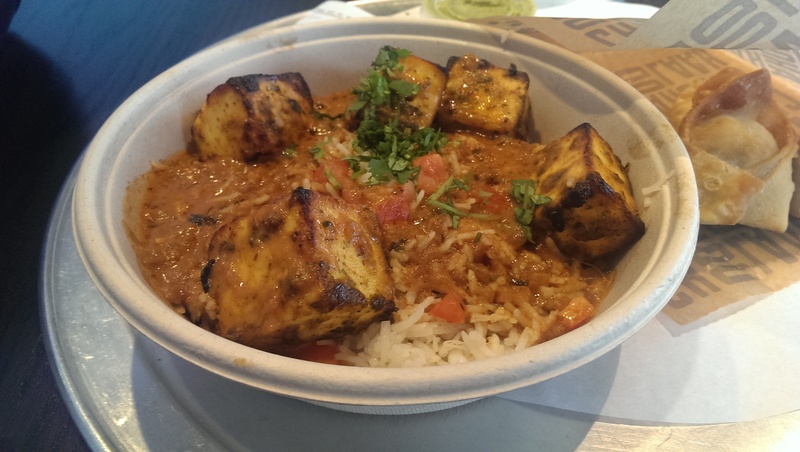 I loved the grilled paneer in the tikka masala almost more than my grilled chicken, which I thoroughly enjoyed! I would totally order it even though I am not a vegetarian. It was that good. My Indian friend loved her Paneer Biryani. I was not as enthusiastic about it. I will order this with chicken next time and see if it makes a difference. 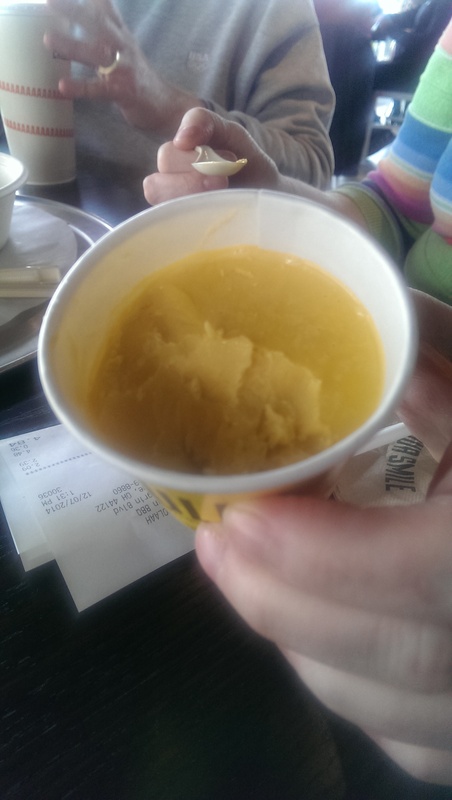 It didn’t have a lot of heat and tasted somewhat reminiscent of mango. I might have had a non-representative bite though, because there are eight layers of flavor in this topped with naan. 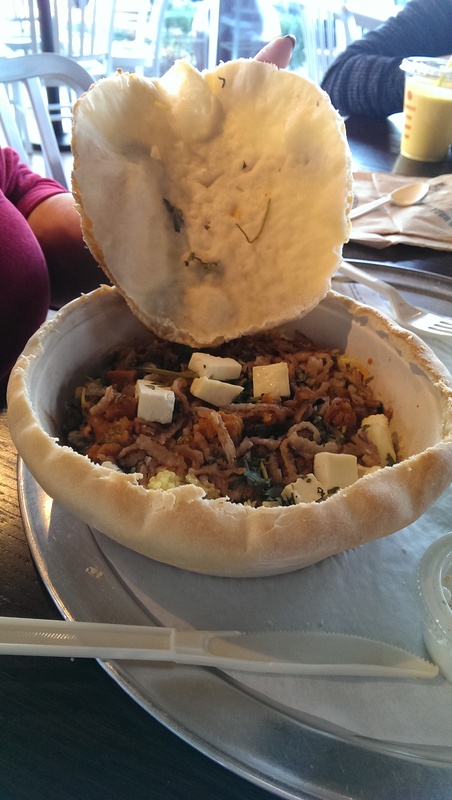 In any event, my friend loved the idea of it coming with the bread baked on top like a pot pie. Another friend loved the Salmon Tikka Masala and the chaat. I might have to try the salmon next. My two Indian friends split a Samosa Chaat. The Samosa were a little softer than I expected due to the addition of the chaat (chickpeas, spices, yogurt and tamarind sauce). They both liked it, and loved the yogurt and cheese atop the chickpea-based chaat. 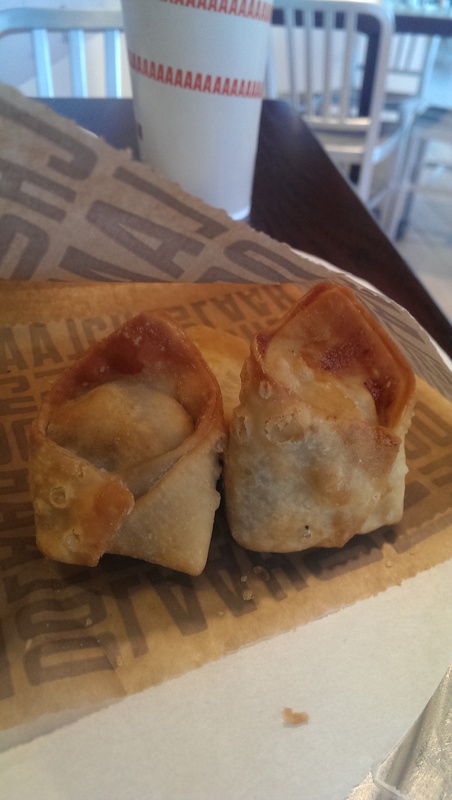 The Samosa side features three small samosas for $1.99. The samosas were very flavorful and contained potato, onions and peas. They were a nice little side to add to my meal. 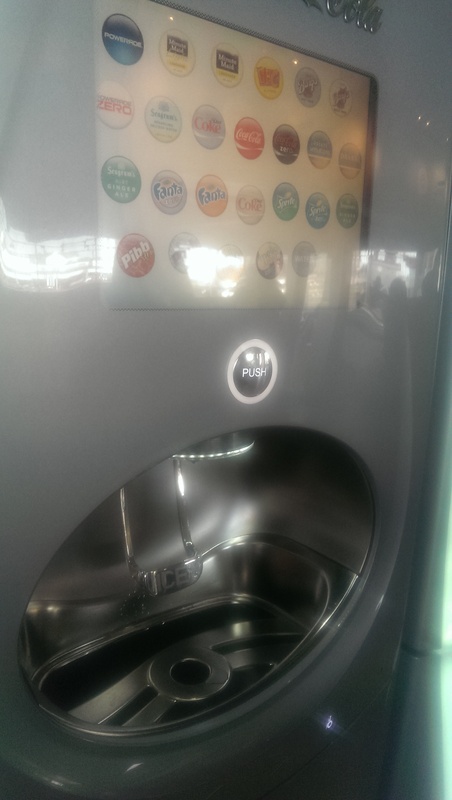 My absolutely favorite thing about Choolah though is the Coca Cola freestyle soda dispenser. I had translated a text about this several years ago, so it is nice to see it in action. More and more restaurants are offering this, including the Winking Lizard, Firehouse Subs, Five Guys, etc. Testing of the fountain, which can offer up to 200 different drinks, was launched in several markets in 2009. Coca Cola started rolling out the fountains in 2010, and they are slowly deploying it in various restaurants around the country. Customers choose a base product, which they can supplement with additional flavoring. 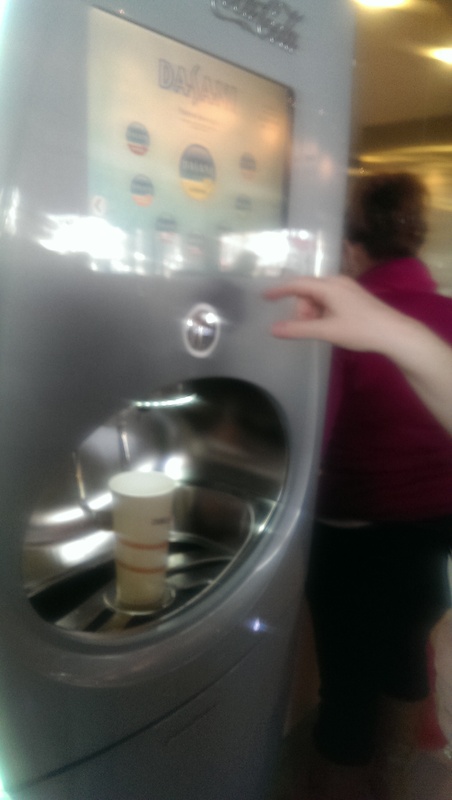 The machines include flavors not previously available to the American market, including Orange Coke, which was previously sold only in Russia and the Baltics (and briefly in the United Kingdom and Gibraltar). I debated between peach and grape flavoring for my Dasani Sensation and ended up going with grape. The Dasani soda was under 5 calories and was not overly sweet (0 g sugar), so it really hit the spot and was waistline-friendly. I can’t wait to experiment with more flavors in the future. Be sure to check out the above link to see all the available flavors, such as lemon, raspberry, lime, vanilla, cherry, etc., to add to Coke, Dasani, Fanta, Minute Maid Lemonade, Hi-C, Mr. Pibb, Fanta, Mello Yello, Ginger Ale, seltzer, etc. 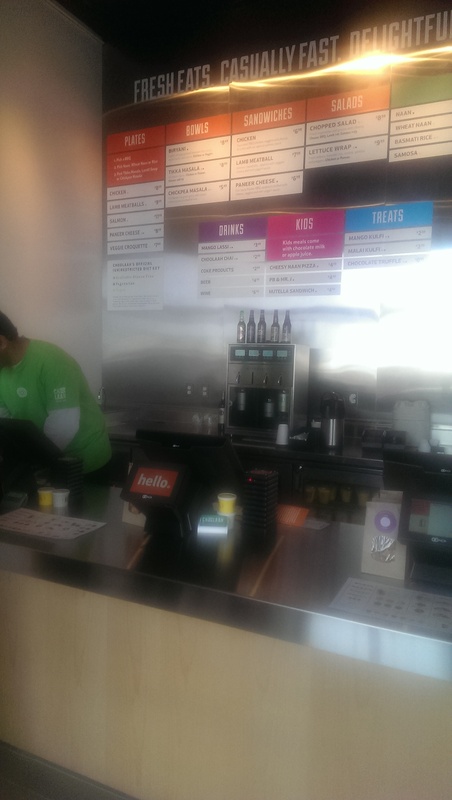 They also sell chai, mango lassi, beer and have wine available in a WineStation dispenser. I didn’t love the chai, but my Indian friend who tried mine liked it. Then again, I have been ruined forever by her mother’s chai. They always seem less flavorful and somewhat watery in restaurants now. One pro tip is to order the mango or malai (cardamom) kulfi with your meal so that it is softened by the time you eat it. My friends had a tough time eating it in its frozen-solid state. 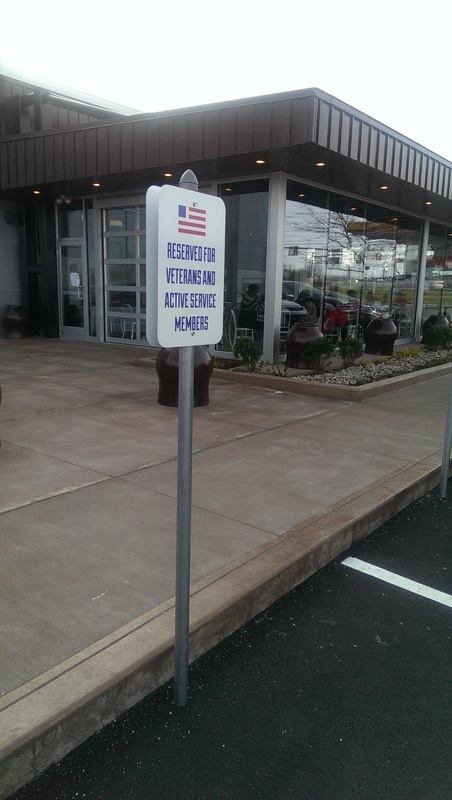 Another really nice touch is two reserved spots right by the door for veterans and active military service members. It’s a nice way to honor them and say thanks. I just don’t know how many of them would be willing to take advantage of it. I know many of them are very modest. 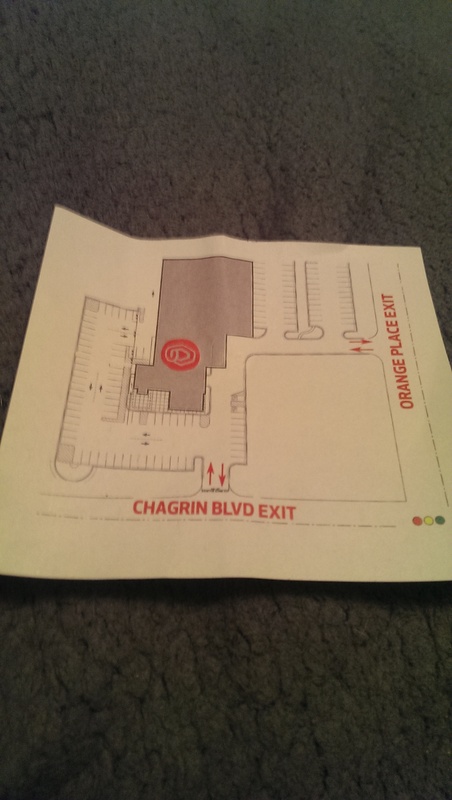 Another pro tip is to use the entrance/exit on Orange Place to avoid the congestion on Chagrin. The entrance on Orange Place that it shares with the collision center is right next to the gas station on the corner and is well-marked. Overall, the selection is small but affordable. 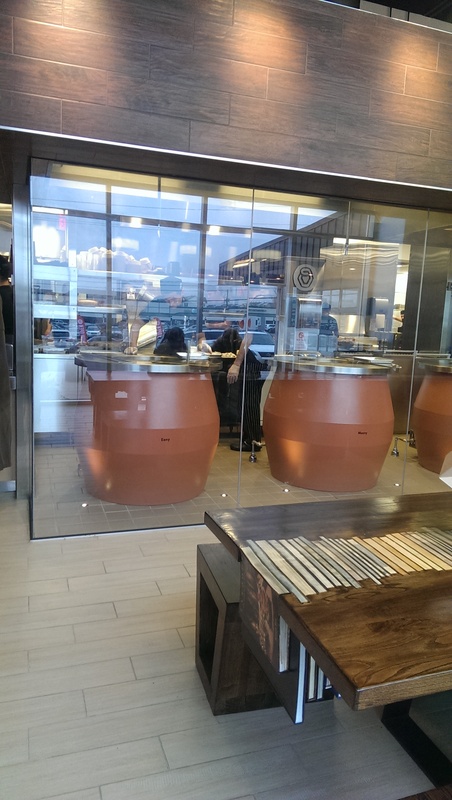 It doesn’t have a large variety, but what they do offer is good and designed for the American fast food eater (plates, bowls, sandwiches, wraps, etc.). It was fast, and the portions were reasonable. I was perfectly satiated by my “plate,” which featured an entree and a side. This is the first location of what the owners hope to turn into a chain of Indian BBQ places. If the crowds are any indication they have a hit on their hands. Open daily Mon-Thurs & Sun 11am-9pm, Fri & Sat 11am-10pm.